These days finding a B&B is much easier than it ever used to be. Trip Advisor, Airbnb and HomeAway make finding a bed for the night a breeze. Whilst this is great news for many B&B owners, it’s most definitely a double-edged sword as it also means that for potential guests looking for a room for the weekend, or even just a night, there’s lots more easily accessible options out there. This means that standing out from the crowd and adding that extra warmth to your service is more important than ever. I’m not talking about an extra blanked at the back of the closet in their room I’m talking about that added personal touch that says ‘we’re really pleased you chose us’. Isn’t it great not to have to scribble the address of where you are going on a piece of paper before keying it into the sat nav? Text your guests either on booking or the day before they are due to check in. Point out how you are looking forward to welcoming them to your B&B and send them your postcode or directions. It’ll also help them avoid any ‘lost in translation’ issues from addresses copied down incorrectly. Using texts doesn’t have to stop there. Text them the address of any restaurants or takeaways they ask you for, and even invite them to check in or out by text too for some ultra-flexible checking in options. Invest in getting professional photographs taken. Most B&B guests put a large focus on the way that a property looks. A professional photographer will be able to use the right lenses and get the best angles to show your property in its best light, making it look oh so much better than all those amateur photos you’re competing with. Before visitors make their mind up on where they’ll stay, they almost always look at reviews. Whether they look at the individual reviews or the overall rating given out of 5 stars, encouraging your visitors to leave positive reviews on your chosen site or sites, will mean you’ll be streets ahead when it comes to return bookings and new bookings. Many algorithms will prioritise those properties with positive reviews in searches too. To encourage reviews you can incentivise your visitors with a free gift, entry into a draw to win a prize, or a discount on their next booking. Get to know your guests names and use them. Chat to them and find out about what they’ve been doing whilst in the area. Not only might you be able to offer useful information or additional suggestions, you’ll also pick up tips and advice that you can pass on to other guests to help make their stay memorable. Consider what brings your guests to the area and make it easy for them to take back a little souvenir. Partner with some local businesses to offer them some cheese from the region, maybe some biscuits or cakes that are typical of the area, or perhaps a book inspired by, or written about where you are based. One of the best B&Bs I ever stayed in gave me a couple of biscuits and a bottle of water for my return journey – perfect. Make picnic lunch options available – not only is it another way to upsell your guests, you’ll also be doing them a favour, saving them from having to hunt out overpriced (and often overcooked) tourist food, so they can spend more time making the most of the sites they’ve come to see. 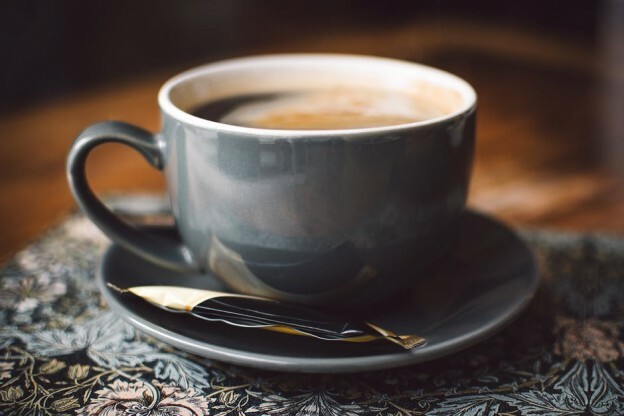 After a long journey, there’s nothing quite like a fresh coffee, so offer your guests a complimentary coffee and snack on arrival and help them to start unwinding right away. Stewart Hindley are Finance brokers specialising in B&B finance and hospitality finance. With a comprehensive network of affiliates and partners, Stewart Hindley help provide the B&B Finance that owners are looking for to transform their B&B into something really special. If you have high hopes for your B&B and need B&B finance to make it a reality, give us a call today and speak to one of our specialists in hospitality finance.